Some folks who are admitted to Fauquier Hospital may be confused if they are visited by physicians other than their own family doctor. Fauquier Hospital in 2008 instituted a Hospitalist program to meet the needs of inpatients. Always on hand, these physicians provide 24/7 attention so that independent doctors can continue to see patients at their offices. Hospitalist physicians care for patients admitted to the hospital until they are discharged. With wide experience in multiple disciplines, they are trained to treat a broad range of medical conditions. Hospitalists embrace Fauquier Health's patient-centered care philosophy, and are dedicated to providing the highest quality of care to our hospitalized patients in a warm, comfortable and supportive environment. Each day you’ll find them partnering with patients and their family members to satisfy a wide range of patient needs and preferences. Without an outside practice or office hours to keep, our hospitalists can focus on the needs of patients. They are available around the clock. Because they are experts on Fauquier Hospital procedures and staff, they can smooth the way to recovery for their patients. What are the hospitalists’ qualifications? All of our hospitalist physicians are board certified in internal or family practice. Each has also completed an Internal Medicine or Family Practice residency program, and is trained in the care of critical patients. How do hospitalists ease communication? Because hospitalists are on site, they are available to meet with patients and their care partners to discuss treatment, care plans and discharge planning. Hospitalists will contact a patient’s primary care doctor within 24 hours of admission. That doctor can share necessary information with the hospitalist. In turn, physicians will be updated about any significant changes in a patient’s condition during their stay. Primary care doctors receive a summary of the hospital stay and discharge medications. If follow-up care is needed, the doctor will be contacted before discharge. How can I be seen by a hospitalist while in the hospital? Your primary care physician must be enrolled in Fauquier Hospital’s Hospitalist Program to participate. 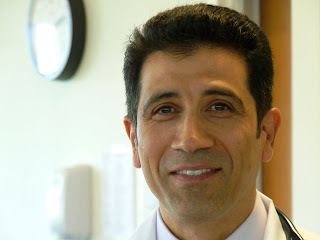 In addition to being trained in internal medicine, critical care, intensive care, emergency medicine, infectious diseases, renal disease and cardiology, Dr. Tajick is a former biomedical engineer who is an expert in designing prosthetics, orthotics and mobility aids for children and adults with disabilities. He is board certified in internal medicine and certified in basic life support and advanced cardiac life support. Dr. Basharmal not only graduated in the top 1 percent of his medical school class, he also received clinical training specifically designed for hospital medicine. His residency program included electives in internal medicine, nephrology, dermatology and hematology/oncology. Dr. Bashharmal is board certified in internal medicine. Dr. Chung came to Fauquier Hospital after working for more than seven years at the Suncoast Medical Clinic— a Florida medical group known for pioneering the multispecialty group concept. After earning his Doctor of Medicine degree from the Medical College of Virginia in 1995, Dr. Chung completed his training at the Georgetown University/Providence Hospital family practice residency program. He is board certified in family medicine. Dr. Chung grew up in Northern Virginia. Dr. Kashem came to Fauquier Hospital from one of the busiest hospital centers in Northern Virginia where he treated a large volume of patients and a wide variety of medical conditions. Board certified in internal medicine, Dr. Kashem is also fluent in Bengali. Dr. Kashem’s residency training was specifically designed for hospital medicine. Prior to joining Fauquier Hospital, Dr. Mulugeta completed a variety of clinical rotations that spanned more than a dozen years. In that time she covered specialty areas such as internal medicine, infectious diseases, geriatrics, pulmonology, rehabilitative care, gastroenterology, pediatrics, gynecology/ obstetrics and surgery. She is board certified in internal medicine and is also fluent in Amharic. Dr. Saeed spent the first part of his medical career in the fast-paced hospitals and urgent care centers of Northern Virginia and suburban Washington, D.C. His experience and training cover multiple areas, including: internal medicine, emergency medicine, intensive care, progressive care, coronary care, geriatrics, pediatrics, rheumatology, psychiatry, obstetrics/gynecology, sports medicine, dermatology, ophthalmology, otolaryngology and dermatology. He is board certified in internal medicine and certified in advanced cardiac life support. Dr. Siddiqui earned his medical degree in India, his country of origin, in England and the United States. He finished a family medicine residency program at Southside Hospital on Long Island, N.Y. and is board certified in family medicine. Before joining Fauquier Health, Dr. Siddiqui was a hospitalist physician and family medicine physician with the Aroostook Medical Center in Maine, where he was also active in committee leadership positions. Lisa Provance is a board certified family nurse practitioner with 26 years of critical and emergency nursing experience. She is also an ACLS/PALS/BLS instructor and has a subspecialty certification in addiction and substance abuse management. She was a core member of the hospitalist team at Fair Oaks Hospital and transitioned to the Fauquier Hospitalist Group in 2008.